When it comes to identity theft protection, nothing but the best will do. Keeping yourself safe online starts with looking for the best identity theft protection, which includes fraud monitoring, family protection, and insurance in case something goes wrong. We’ve analyzed several identity theft protection services and created a set of comprehensive identity theft protection reviews, to help you make the right choice for your needs. Why Invest in an Identity Theft Service? The internet is becoming more and more connected, with most people using email, social media and online shopping nearly every single day, and as such, identity theft protection is now more essential than ever. Any time you put your information online, such as your name or address, and especially financial information, somebody could steal this to fake your identity, or use your information to commit a crime. This might seem far fetched, but in 2016, almost 1 in every 16 adults were the victims of identity theft in the U.S.
Financial gain. Criminals will use your credit card details or financial information to buy things with your money. They might also commit benefit fraud under your name, or claim your tax rebates or other earnings. Criminal gain. By using their name or date of birth, some victims have had crimes committed under their name, like entering the country illegally, committing cybercrimes or even drugs or money laundering. Because so much of our private information is stored online nowadays, it is imperative to get the best identity protection service suited to our needs. Which Features Should I Look? It’s clear that ID theft protection should be at the top of everyone’s mind. But how can you know which features are must-haves, and which are simply tacked on so that companies can raise the prices? We’ve compiled a list of the essential features for identity protection services. Family protection. This can be a useful option to look out for if you have many people living under one roof. It also stops you from worrying what the kids are up to online! Obviously you should still speak to your children about safe online practices and utilize parental blocks, but ID theft protection can limit the risk that a situation will get out of control without you knowing about it. Financial monitoring. Some ID theft prevention services will offer to monitor your credit, but this is just the beginning. You want to choose a service which will keep an eye on all your bank accounts for suspicious behavior, including savings and checking accounts. Some services will even keep their eye out for suspicious looking new accounts in other banks in your name. Finance is the area where most criminals hit when it comes to ID theft, so it pays to be extra cautious here. ID theft rehabilitation. 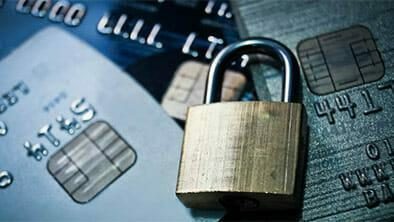 Most companies are proactive and will only implement strategies to help prevent future occurrences of identity theft. However, a comprehensive service will also assist you and provide remedies to help settle previous cases of identity theft. Real-time fraud monitoring. Most problems can be dealt with quickly if you know about them. When your information is used from a new device or from an unusual location, you want to be sure that you know about it in time to stop any fraud in its tracks. ID theft insurance. While it’s good to know that a problem has been sorted out, what about the havoc it wreaked in the meantime? Lost wages, stolen money, a damaged credit rating, and even attorney fees can be covered by this insurance, which will give you peace of mind in case of a breach. This company provides complete solutions to ensure that your personal information stored on your computer, including credit card details, passwords, and social security numbers, is always protected from individuals with malicious intent. Price: $39.95/month with an auto-renewal feature. It comes with Photo Commander for free, and you can add Driver Tuneup for an additional $19.95. Price: $15 a month for the standard plan, $20 a month for the premium plan. Price: A single subscription costs $9.95 per month. Price: Subscriptions are $19.99 per month. We hope our identity theft protection reviews can help you make the right choice for your family or individual needs. Whichever one you choose, make sure you check it has the ‘must-haves’ on your list.